Neill walks us through his award-winning design for Belgravia in Bloom "For the love of Orchids," sharing his inspiration for the display and the extraordinary exhibit of Orchids inside his Belgravia store during Chelsea Flower Show 2016. Designing outdoor installations is one of my greatest passions. 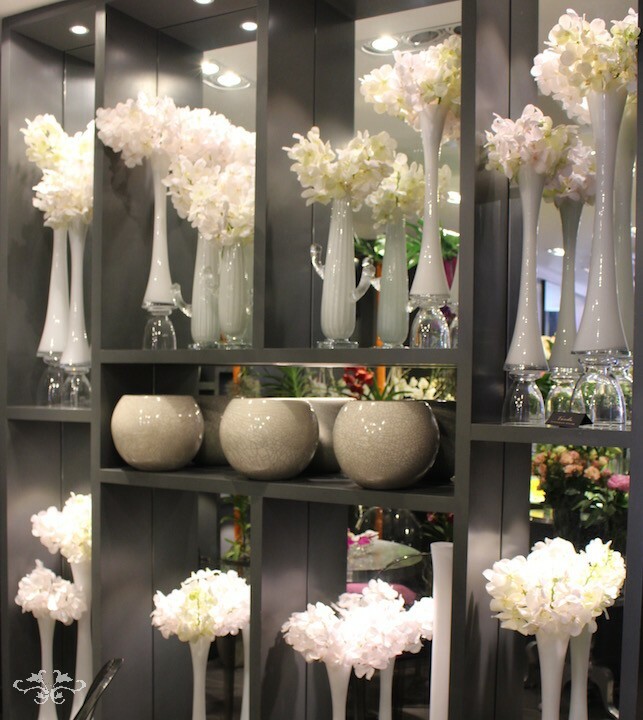 And combining this passion with my love of Orchids, for their incredibly luxurious and opulent look, meant that the Belgravia boutique was going to be transformed into an oasis of colourful glamour on West Halkin Street for the duration of the Chelsea Flower Show and Belgravia in Bloom. Orchids have a reputation of being delicate and difficult, and rightly so... As tropical flowers they do not tolerate temperatures lower than 12 degrees Celcius. They don't like direct sunlight and they hate drafts so you can imagine what a risk we were taking with the English weather by creating an outdoor display with fresh Phalaenopsis and Vanda Orchids. 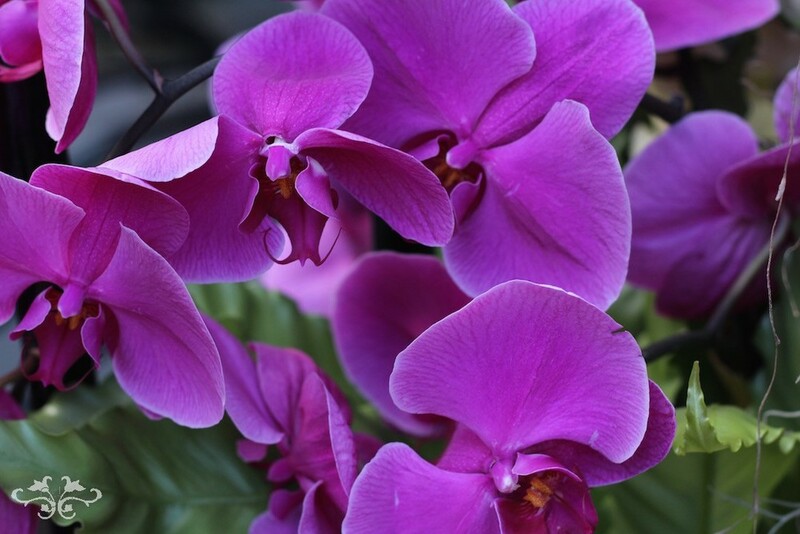 But the exceptionally high quality of cut-Phalaenopsis from our Dutch grower, Ichtus Flowers, and the Vandas from Anco Pure Vanda surprised us all. The Orchids looked amazing for 9 consecutive days despite the constantly changing weather conditions. While guests were impressed by the display, I was so impressed by my suppliers and these gorgeous flowers. The inspiration for my exterior display was the famous Orchid-hunters, the heros of Victorian times. With Bamboo trunks, many Succulent plants, Ferns, Orchid roots and Spanish Moss, I created a wild jungle feel to the front of the store from which to hang the Phalaenopsis Orchids. And as the Orchid-hunters carried special cages in which to keep their new Orchid variety findings, I hung golden cages to encase the many different varieties of our Anco Pure Vanda Orchids., further enhancing their exquisite beauty. We hung more precious Vanda Orchids in gold cages in the store windows as well as in Victorian style terrariums, to add to the 20th century setting of the Orchid hunters. 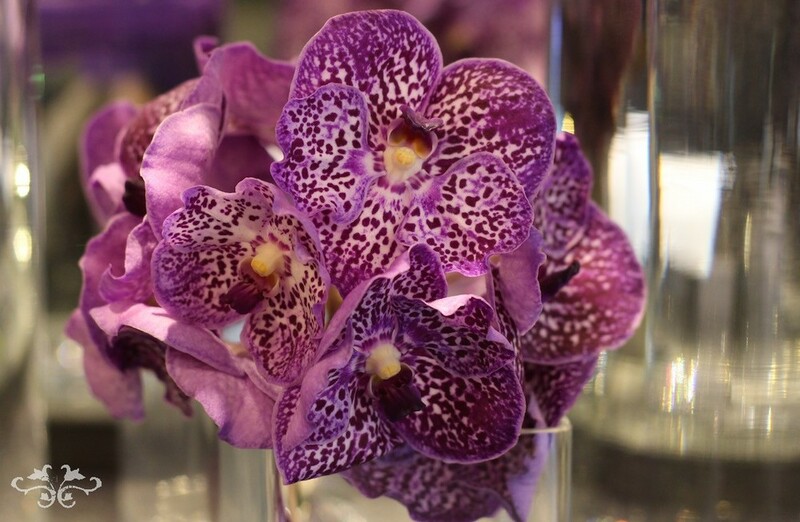 Inside our flower boutique, we created an extravagant showcase of over 40 different varieties of Phalanopsis and Vanda Orchids, cut-stems and plants. Some of these were new varieties straight from our growers, never seen before in the U.K.
Each Vanda and Phalaenopsis plant was named for guests to see. We also included some very old Vanda plants, from 15 to 22 years old from Anco Pure Vanda. Infact, the 22 year old "White Magic Vanda" is a historic Orchid plant. It was one of the very first plants that owner, Steef Van Adrichem, began his company with 20 years ago and this variety "White Magic" no longer exists. 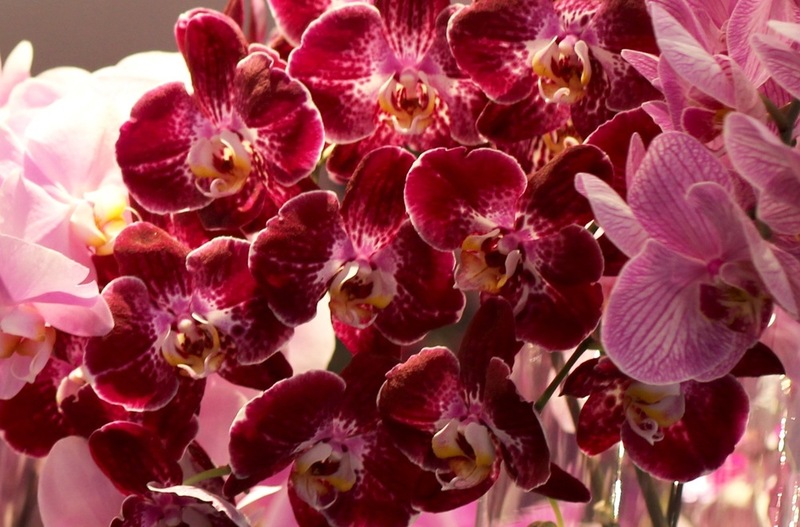 In 20 years, Anco Pure Vanda has become the largest nursery of Vanda Orchids in the world. We are delighted that "White Magic" will now live with us at The Flower Lounge. 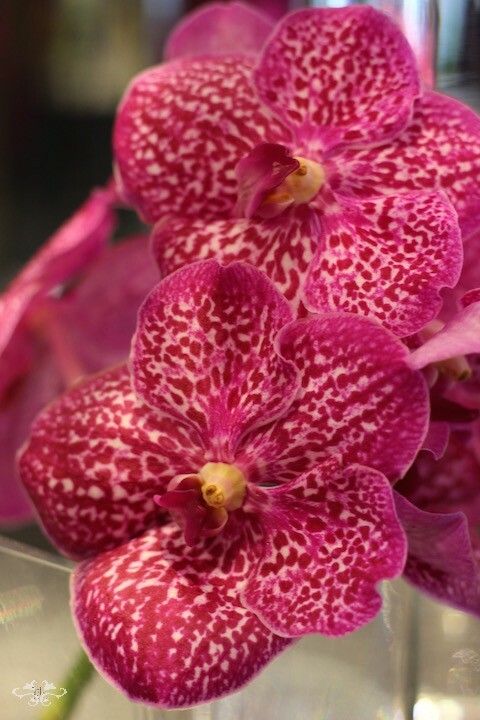 We created a display in the centre of the boutique to show how well Phalaenopsis and Vanda Orchids marry together, both in colour and form. Here are some close ups of the different Orchids we showcased, including a bridal display we created with the new Diamond White Vanda. This incredibly pure white Vanda is a new star! 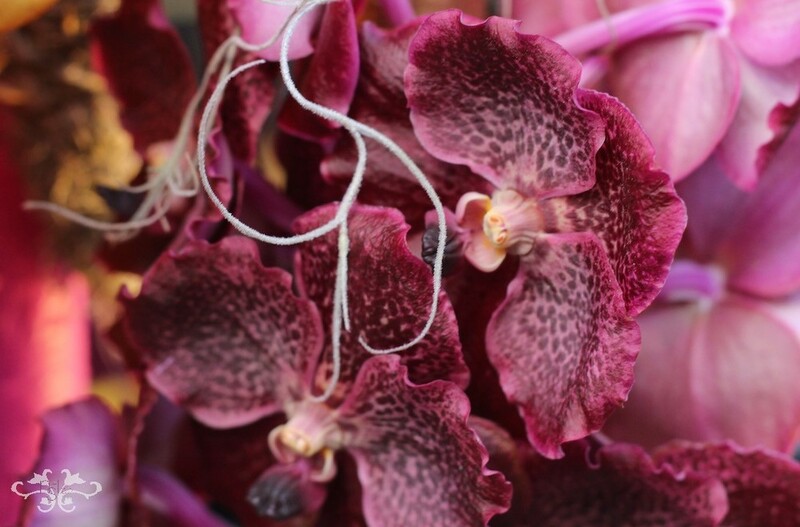 It has just a subtle hint of pink, and together with the Tayanee White Vanda with its hint of pale green, both are perfect wedding flowers... All these Orchid varieties are exquisitely beautiful and are just an appetizer of each company's full range. Phalaenopsis (cut-stems) from Ichtus Flowers, run by Pieter Lips and his colleagues. More details at: https://www.facebook.com/Ichtus-Flowers-230210290358307/?fref=ts. New website will be launched soon. Throughout our Orchid showcase, we served visitors special Vanda Voodoo Cocktails (the signature cocktail from Paris' George V Hotel), Vanilla Orchid tea and sublime chocolate-dipped Vanda Orchid petals, beautifully prepared by our Belgravia neighbour, chocolatier Chantal Coady of Rococo Chocolates. Chantal skilfully dipped the edible Vanda petals into her delicious dark Rococo chocolate and embellished with an edible gold transfer for a further luxurious effect. More news about Rococo at: https://www.rococochocolates.com/. 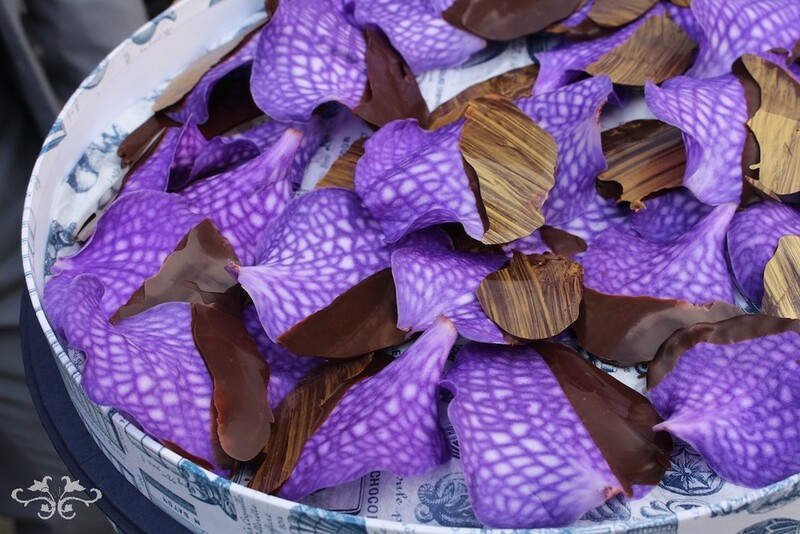 Our visitors were absolutely amazed that these stunning flowers could also be eaten! 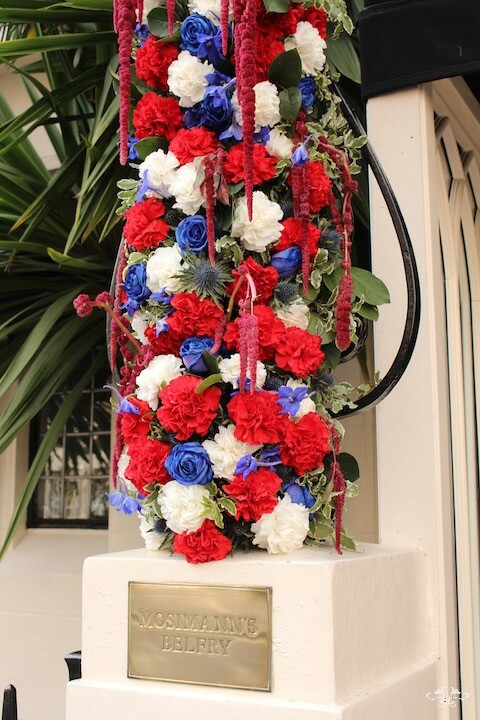 I thought you also might like to see the outdoor display we created at the entrance of Mosimann's Private Dining Club, our neighbour on West Halkin Street, which was also a winner at the Belgravia in Bloom awards for Best Royal Theme. Well, another Chelsea Flower Show is but a memory. I hope friends and clients enjoyed our Orchid tours, the boutique's display during the week and for those of you who were unable to pop in, that you've enjoyed this blog post. 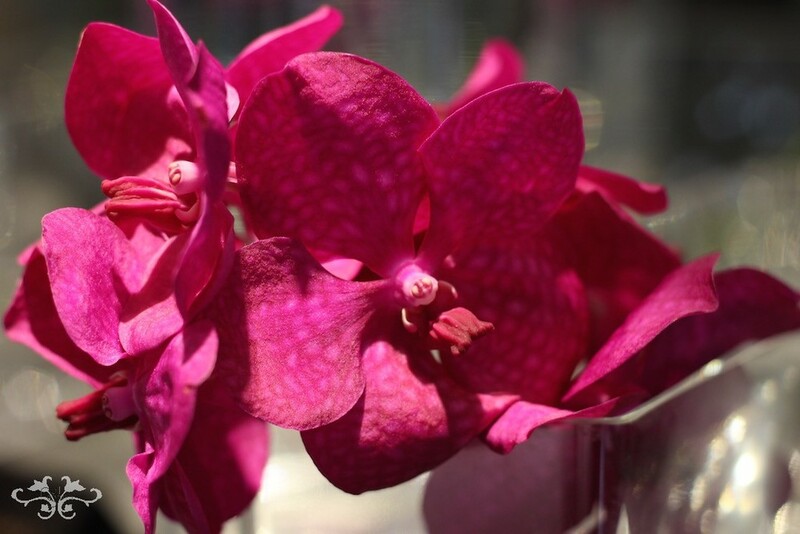 While FOR THE LOVE OF ORCHIDS is over, we will always have lots of magnificent Orchids in the store and for our weddings, events and home styling work. Afterall, they are one of the most luxurious of flowers.